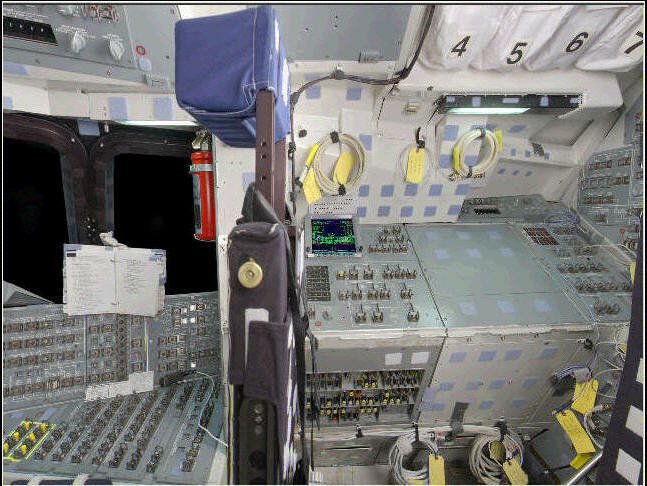 ﻿ Hydraulic Panel on the Space Shuttle Guide;The Hydraulic Panel of the Flight Deck of the Space Shuttles. A variable displacement type pump Switch. Each operates at approximately 3,900 rpm when driven by the corresponding APU.